You are here: Home / Living Life / Have a laugh – it’s good for you! Genuine laughter can be infectious and Gumby was notorious for his no-holds-barred laugh which started at the bottom of his belly and erupted to engulf everyone within hearing distance (and possibly beyond!). It is generally accepted that you can see from the “laughter lines” on someone’s face how much time they spend smiling or laughing – there are some medical conditions that make this impossible but, happily for the vast majority of us who are able to find things in life to smile or laugh about, it’s true. I recently went to see The Theory of Everything and was struck by how well Eddie Redmaine captured Professor Stephen Hawkings sense of humour which his ALS has not diminished. We all have triggers that make us laugh and they are as unique and wonderful as we are. My reliable laughter fixes are The Blues Brothers and anything by Mark Steel. The benefits of laughter shouldn’t be under-estimated either. From short-term effects such as relief from stress and tension, to long-term benefits like an improved immune system and reduced chronic pain, a good laugh can have a profound effect on your mental and physical well – being. Fortunately, if you struggle to see the funny side of things either because you are in a particularly un-funny stage of your life or you just don’t have a funny bone, there are ways to learn and develop a sense of humour. 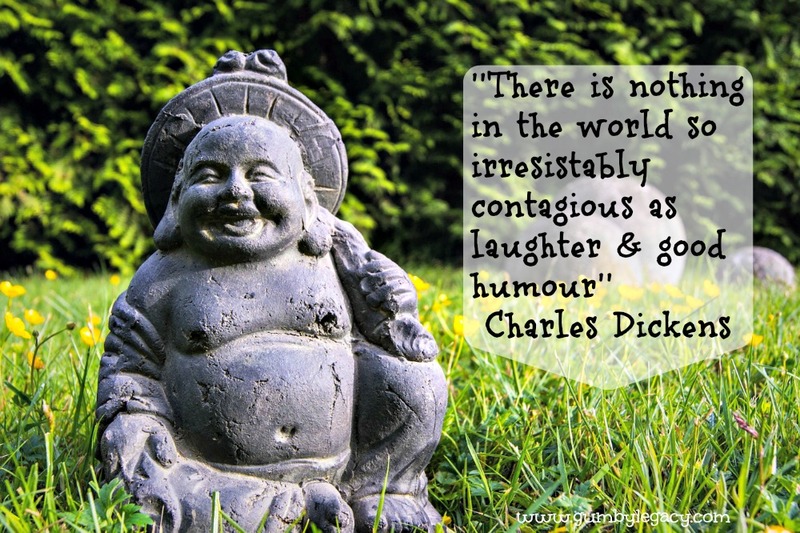 If you’re lucky enough to have a naturally great sense of humour, then do someone a favour and improve their health and life by making them laugh! We’d love to hear from you about what makes you laugh, your experience of the positive benefits of laughter, or funny stories about Gumby. Whatever you do, don’t forget to keep laughing!